UbuntuNet Alliance has awarded a 15-year contract to pan-African telecom enabler SEACOM to provide point to point connectivity services to National Research and Education Networks (NRENs) of Eastern and Southern Africa through the European Union co-funded AfricaConnect2 project. This contract kicks off the procurement of connectivity services in Eastern and Southern Africa – the first of three regions of Africa taking part in the €26.6 million project that seeks to create a first of a kind high speed pan-African research and education network. SEACOM will provide capacity between Kampala (Uganda) and Dar es Salaam (Tanzania); and from Dar es Salaam to Amsterdam (Netherlands) where the UbuntuNet network peers with the European Research and Education Network, GÉANT. The link between Kampala and Dar es Salaam will complete a ring between the NRENs of Uganda, Tanzania and Kenya and will provide a resilient network for research collaboration in the sub-region. 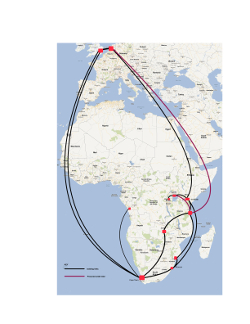 The Dar es Salaam – Amsterdam link provides a diverse path between East Africa and Amsterdam. This will ensure that more research and education institutions in Eastern and Southern Africa benefit from seamless connectivity to each other and to the Internet, thus enabling faster access to information, knowledge sharing, collaboration on projects and application of best practice with researchers from across the globe. AfricaConnect2 builds on the success of the AfricaConnect project which rolled out the UbuntuNet regional network for research and education in Eastern and Southern Africa between 2011 and 2015.